This entry was posted on January 5, 2015 by Melinda. It was filed under lensbaby, macro . Aren’t pinecones so pretty close up and I love the fact that we can do macros and see all of that? Love the blur as you know and the fact that we can use our Lensbabys to get the beautiful focus and blur all in one. Pinecones in macro! These are fabulous Melinda! I love the bottom left pov and focus, and love the bleached one for the white color. I’m fascinated by so many sizes and shapes of pinecones from different pine varieties. 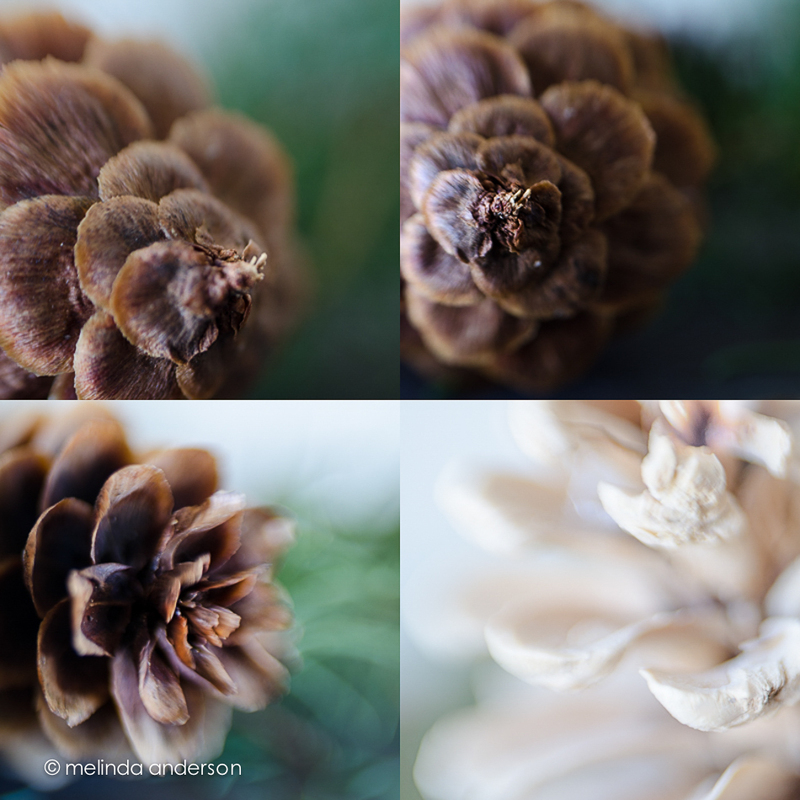 I would love to go on a pinecone hunt to see what all I could pick up to use in photo shoots. Looks like you are loving your new lens and making some beautiful images with it.